Architects and building owners have more restroom design and performance considerations to make than ever before. Stylish aesthetics, increased water efficiency, and end-user preferences are driving innovations from manufacturers, encompassing everything from faucets to urinals. Sterile, one-dimensional restrooms are becoming a thing of the past. Aesthetics now more closely align with other priorities such as durability, performance, and ease of installation. One emerging commercial restroom design trend is toward end-user ‘personal’ space. The concept of personal space in a public restroom might have its limits, but it echoes preferences for personal autonomy in the corporate conference room. An online white paper by Wainhouse Research LLC, which was commissioned by computer accessory company Logitech, refers to “‘personal’ collaboration in the conference room” with “users preferring to use their own laptops” even while occupying a room decked out with technology available for shared use. As one example, personal space in commercial restrooms might take the form of ceiling-to-floor stalls for toilets. Another representation of personal space in the reimagined restroom is the integrated handwashing systems that combine seamless solid-surface countertops with individual basins and matching faucets and soap dispensers. This table lays out restroom concerns by priority. Intended for high-traffic spaces that depend on plumbing durability, the separate basins give users personal space, while also helping prevent cross-contamination. Using solid surfacing means that the counters are easy to maintain and are resistant to scratches and stains. Antimicrobial coatings can protect the basin from harmful contaminants, preserving the material. There are also various options for unobtrusive, minimalistic drains, coordinating slim-plenum, wall-mounted faucets and low-profile, no-splash designs. Such ‘all-in-one-box’ solutions (i.e. basin, faucet, and soap dispenser with one model number for all the components) are easy to specify. Many install like a traditional lavatory, with hanging brackets to make the process simple and quick. Some models feature 113.4-kg (250-lb) load ratings. 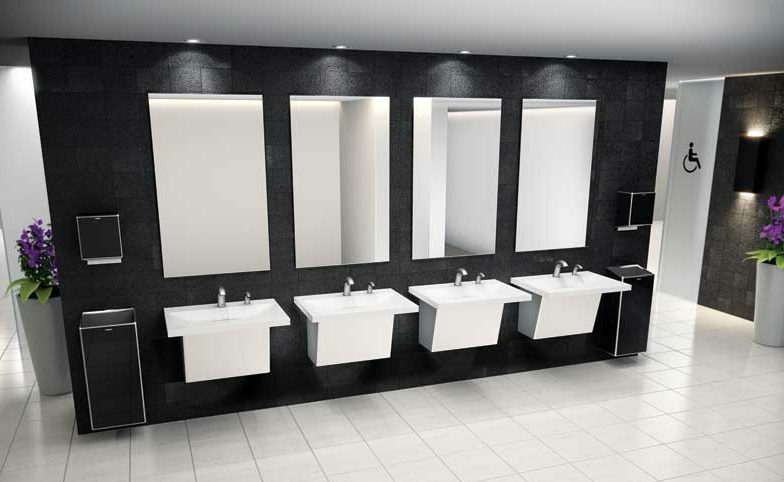 When developing a commercial washroom environment, building owners and architects prefer to specify products that look great, but are also well-built and durable. In research conducted by the company where this author works, approximately 88 percent of stakeholders gave more weight to aesthetic look and durability than ease of installation. Although aesthetics took a small lead in importance over durability, both play an integral role when it comes to specifying materials and fixtures for restrooms. As shown in Figure 1, product performance took priority over code compliance, but stakeholders still look to balance this with meeting Americans with Disabilities Act (ADA) requirements. Hands-free operation also rated highly, with nearly 90 percent of stakeholders wanting to specify this type of application for commercial environments. When it came to surveying end-users for their thoughts on restroom design, an overwhelming majority (i.e. 94 percent) viewed cleanliness as their primary concern when using a washroom. 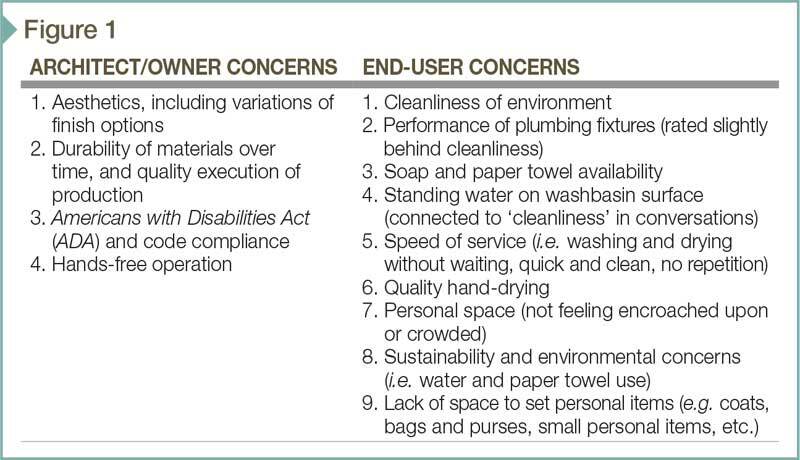 The state of cleanliness in which an end-user finds a handwashing facility determines the majority of the overall quality of end-user experience. Separate basins give users personal space, while also serving to help prevent cross-contamination. The second most important concern for end-users and handwashing is the function of faucets and sensor-operated devices. Approximately 92 percent commented on the frustration of dealing with broken or poorly functioning sensors relating to handwashing or soap dispensing. Personal space seems to be the newest attribute in the reimagined restroom, but the higher value placed on commercial restroom design is not an overnight development. The priorities of end-users cited in Figure 1 make it clear they already have experience with restrooms achieving both aesthetic and performance value. Design teams now have a wider array of stylish options that are still able to manage to achieve high enough performance for them to exceed end-user expectations. For those who believe all business space serves as an opportunity to make an impression, it is important to remember employees, customers, and prospects make multiple trips to the office restroom each day. Attention to the highest standards of restroom design is another element of best practice. 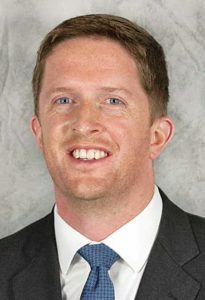 Kevin Gannon is a product manager with Zurn Industries LLC. He has been developing products for the plumbing industry for more than a decade. Gannon can be reached at kevin.gannon@zurn.com.